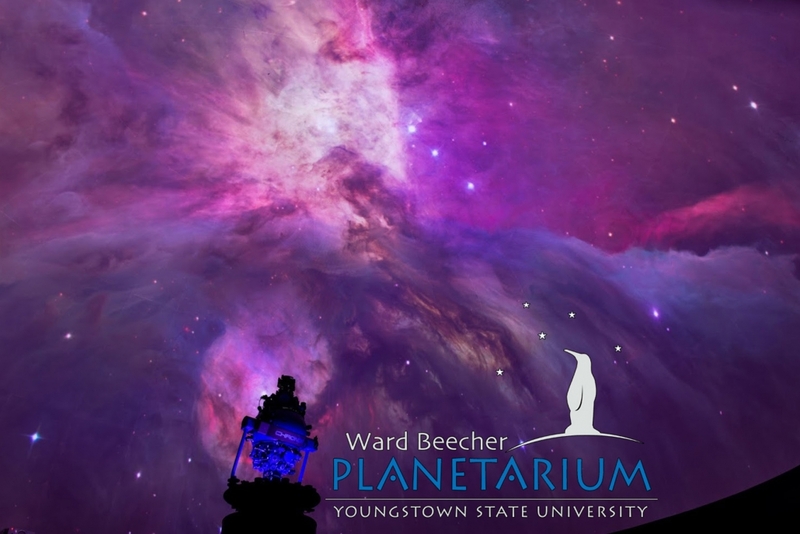 The Ward Beecher Planetarium at Youngstown State University presents Cosmic Recipe. The famous astronomer Carl Sagan once said: “If you wish to make an apple pie from scratch, you must first invent the universe.” Though that may sound crazy, Sagan was onto something BIG! Want to know what? Pull up a chair at our Planetarium’s Periodic Table and learn the cosmic recipes that created everything in our world – even us! Discover how the Big Bang and the stars have cooked up the everyday elements we interact with every day—like the calcium in our teeth, the silicon in our smartphones, and even the carbon in our apple pies. Explore the world of chemistry—the protons, neutrons and electrons! See how tiny atoms relate to the mammoth stars! Connect the physical worlds of the small and large in this engaging and inspiring show. Shows are Saturday, February 2, 9, & 16, at 2:00pm. All shows are free and open to the public (donations are always appreciated). No reservations are needed – doors open 30 minutes prior to show time. Seating is first come, first seated.